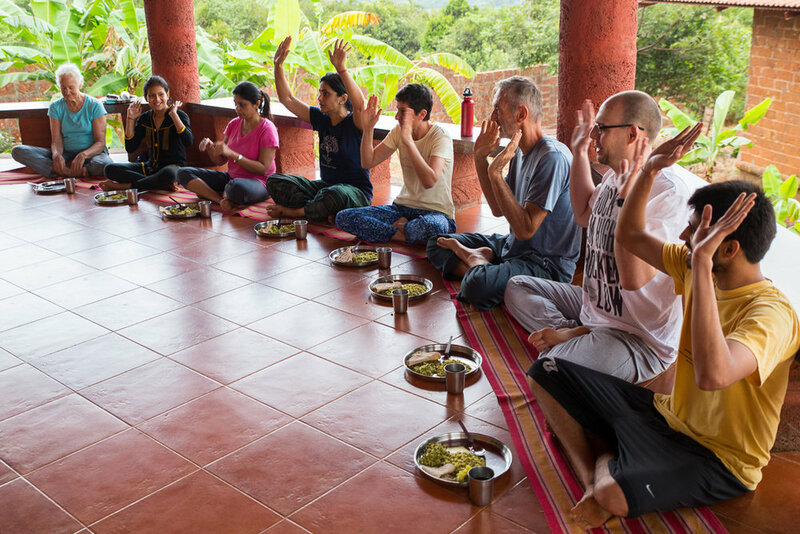 If you want to deepen your own practice of Yoga and meditation while gaining a basic understanding of Ayurveda in order to be able to share these powerful teachings with your students and friends, this Ayurveda Self Care & Yoga Retreat was designed for you. This 3 day special retreat is based on understanding the ancient science of Ayurveda and learning how to use and benefit from the integration of Yoga and Ayurveda to modify your physical and mental limitations and to improve your overall health pattern. 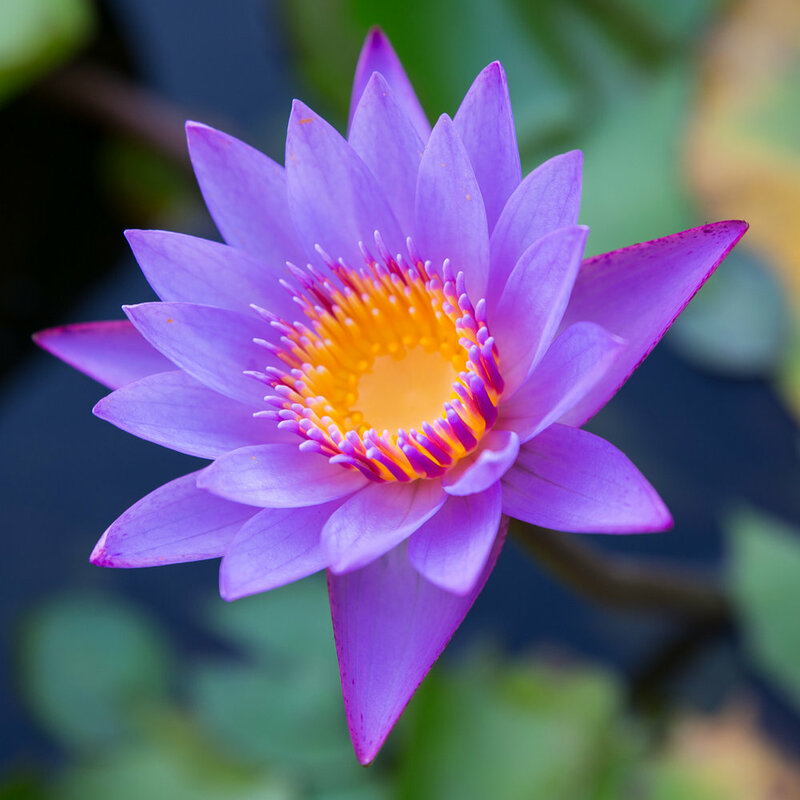 You will receive a systematic introduction to the sciences of Ayurveda and Yoga, and learn about mind-body constitutions and practical tools to create perfect health and a mindful life. 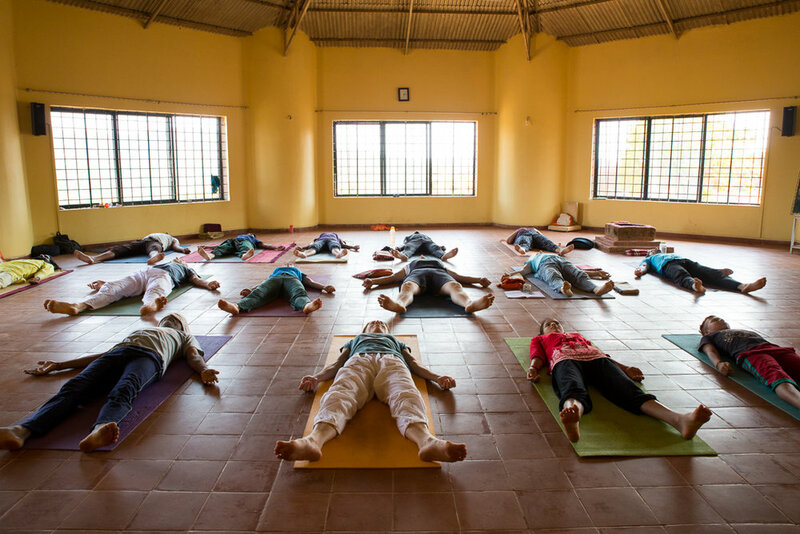 Sessions also include guided meditations, Yoga and pranayama sessions, an introduction to emotional well-being practices, life reflection sessions and free consultations with the Ayurvedic physician. Introductory understanding of of Ayurveda & dinacarya (daily health routine). Introductory understanding of the philosophical foundation of Ayurveda, including the 4 aims and stages of life from Yogic vision of life. Introductory understanding of the main elements of samkhya philosophy. Introductory understanding of the 5 elements/ mahābhūtas. The 10 pairs of gunas, in English and Sanskrit. An introductory understanding of the relationship between microcosmic and macrocosmic relationship between the triadic octaves of reality. Understanding the guna based lifestyle in Yoga and Ayurveda. The three dosas & the fifteen subdosas. Causes of disorder in the dosas and subdosas and possible options to resolve the disorders. The times of day and age associated with each dosa. The elements associated with each dosa and each of the 6 tastes. The main sites of vata accumulation in the body. The main functions of vata. The general causes of vata imbalance. The 5 subtypes of vata and their main sites, functions and directions of their movements (for vata). The main therapeutic sites for vata. The gunas (qualities) of pitta. The main sites of pitta accumulation in the body. The main functions of pitta. The general causes of pitta imbalance. The 5 subtypes of pitta and their main sites, and functions. The main therapeutic site for pitta. The gunas (qualities) of kapha. The main sites of kapha accumulation in the body. The main functions of kapha. The general causes of kapha imbalance. The 5 subtypes of kapha and their main sites, and functions. The main therapeutic site for kapha. Understanding the meaning of prakrti and the 7 main categories of prakrti. How to determine probable physical prakrti. The etiological factors that affect prakrti. How to determine probable vikrti. The etiological factors that affect vikrti and resolving vikrti. Understanding agni - the digestive fire. The qualities and functions of agni. The 10 signs of healthy agni & 10 signs indications that agni is impaired. The 4 clinical classifications of agni and understand their probable physiological effects. The possible causes of ama formation, symptoms associated with the presence of ama and possible remedies. Understanding how the dosas “push” or provoke each other. Introduction to samana - gentle ways to restore balance to health. Understanding the basic components of dinacarya - healthy daily routines. Understanding Khavaigunya – defective spaces in the body. Understanding and practice of the yogic practice in daily life as dinacarya. You will receive a Continuing Educating Certificate by Mani Raman and Yoga Vana Forest Academy, a Registered Yoga School (RYS 200) with Yoga Alliance, USA. Dr. Naveen comes from a traditional Ayurvedic family and is working as an Associate Professor of the Rajiv Gandhi Ayurveda Medical College in Mahe, Pondicherry, India in the department of Kayachikitsa (Ayurveda General Medicine). He has received the degree of Bachelor of Ayurvedic Medicine and Surgery (B.A.M.S.) from Dr.MGR Medical University, Chennai, India and a Post-graduate, MD - Ayurvedic Medical Doctorate (Ayurveda Vachaspathi) in the fields of Ayurveda Siddhantha or Ayurveda Kayachikitsa from Rajiv Gandhi Medical University, Bengaluru, India. Dr. Naveen has worked in many traditional Ayurveda institutes and Ashrams in India as a chief physician. He has delivered lectures, conducted workshops and presented many scientific research papers in Europe, Russia, and other Asian countries in the different fields of Ayurveda, and Yoga. As a native of Kerala, he is specialised in the treatments of Panchakarma and other traditional Kerala Ayurveda. He is the chief examiner for various Ayurveda universities in India. Dr. Naveen brings a wealth of classroom and practical experience to his teachings. By combining Yogic knowledge and Ayurveda as a way of life he helps students to understand living in harmony with nature and create a beautiful balance between body, mind and consciousness. Mani Raman, lead teacher at Yoga Vana, will guide the Hatha Yoga practice sessions, meditations and satsang during this retreat. Learn more about him here. Other Yoga Vana faculty are joining in to create a well balanced retreat and learning environment. 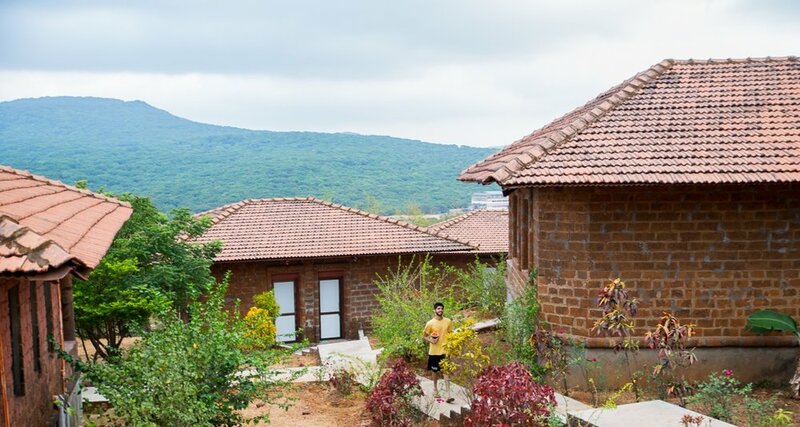 The course takes place at the Holistic Centre for Yoga & Vedanta founded by Pujya Swami Dayananda Saraswati in Amboli, a hill station in southern Maharashtra just 110 km from Goa International Airport. 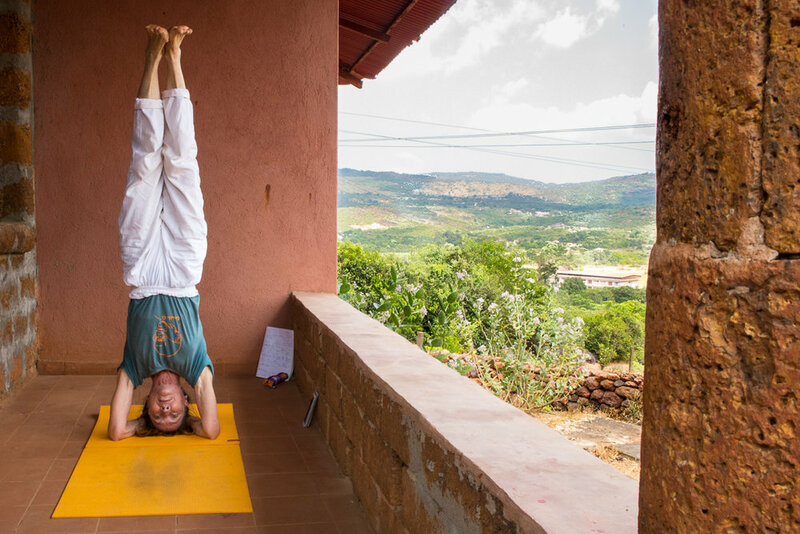 Perched on the hills of the Western Ghats, one of India's most diverse ecosystems, this secluded venue offers a peaceful natural environment that is very conducive for an in-depth study and practice of Yoga and Ayurveda. The climate in February is sunny and dry with temperatures ranging from 17° to 32° C. Due to the hilly location, the mornings and evenings can be cool, with hot temperatures during the day. Please refer to our "What to bring" section below for recommendations on clothes and other items suitable for the season's climate.